On St. Moritz’s very own mountain, the Corviglia, mountain bikers will find spectacular trails and hikers magnificent paths leading through picture-book scenery. The expansive valley floor is also the setting for glorious footpaths – through forests of larch to the waters of the romantic Lej da Staz, for example, or along the three lakes towards the sun. 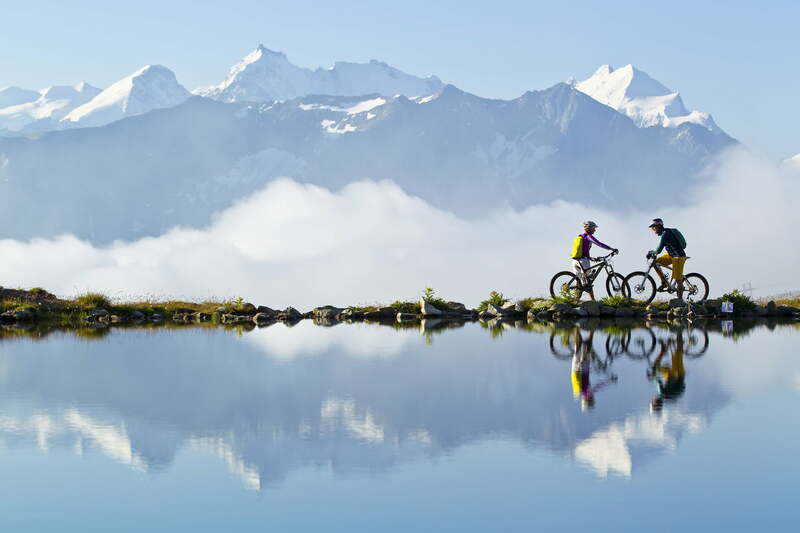 Mountain bikers can choose from more than 400 kilometres of single-track trails and marked routes leading throughout the Upper Engadin. Sailors, meanwhile, can expect superb conditions on Lake St. Moritz in high summer – thanks to the Maloja wind, which regularly blows at Beaufort force 3 to 6.